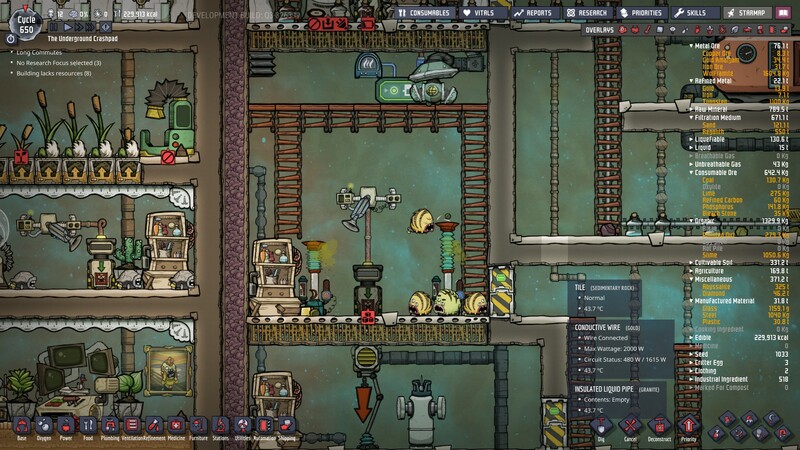 I've got two lures built in a stable with pufts in it, trying to move them to a new stable, but the lures just aren't working. They've both been up for a few cycles with no catch. Both were loaded at one point, but the one on the left at some point became unloaded without capturing a puft. The screenshot shows slime on the floor at the foot of the lure, and the auto-sweeper isn't loading it. After I toggled slime off from the lure and back on the sweeper loaded it again.